"I’m a fifth-generation baker on a mission to revisit the sheer awesomeness of grains when it comes to taste, nutrition and impact. If you want to assist me in any way with any of that, please let me know." Those are words of baker, teacher, charity ambassador, writer, TV chef, husband and father Tom Herbert who will be familiar to many sourdough lovers as one half of The Fabulous Baker Brothers with his brother Henry and part of the Herbert family Hobbs House Bakery empire. 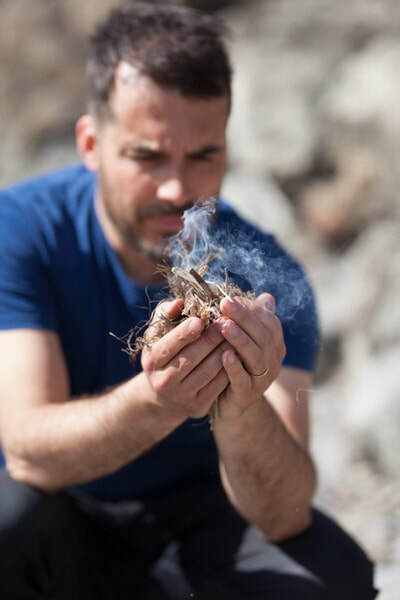 More recently he has baked with RCK (Refugee Community Kitchen) in Calais and Ujima Bakehouse in Kenya and has also teamed up with The Do Book Company to write a new book titled Do/Wild Baking/ Food, fire and good times. Now this didn't start off as book review. We pre-ordered our copy after seeing it on instagram and wanted to share some recipes from it but we couldn't do that without also sharing some of the passion that went into the book. 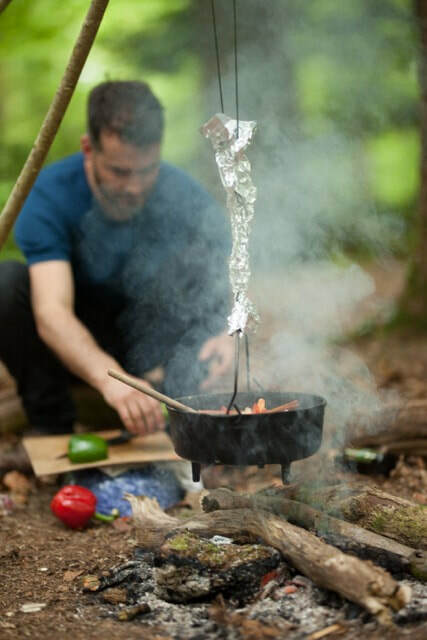 This is more than just a "cookbook", this is freedom, adventure and a chance to break away from the norm and connect with nature food and most importantly people while experiencing the great outdoors. He stresses that he didn't want to fill the book with endless tips and novelty recipes but there is a guide to all the essentials like Health and Safety, Hygiene, the kit you need need which is all very important when the book begins with making and cooking with fire. 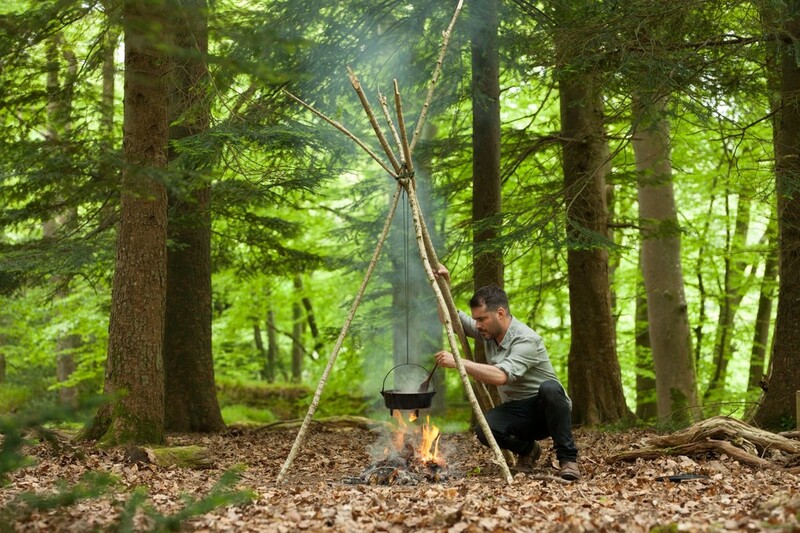 Cooking outdoors can be a challenge but the rewards, both culinary and self-satisfying, are great. 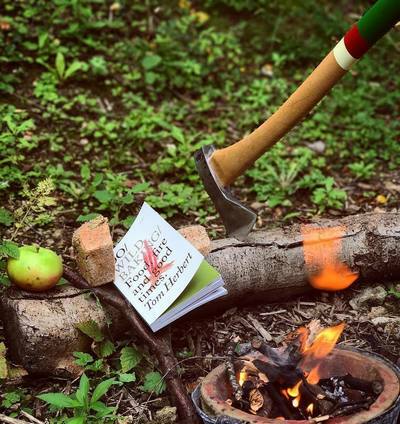 This book inspires you to pick up your ingredients, matches and kindling an leave the kitchen for an outdoor adventure. There are 50 awesome recipes in the book and we have shared a couple below..
First, set your pan or Dutch oven to gently heat above the fire. Mix the dry ingredients together by hand in a large bowl. In your bowl mix the beer into the dry ingredients until there are no dry lumps. The mixture should be very sticky and tacky but firm enough to stay in the bowl when turned upside-down. Think DIY crack filler. Bake for 15–20 minutes or until it has started to form a good golden crust that sounds hollow when tapped on the bottom. If black smoke wafts out (and you smell burnt toast), it is indeed starting to burn. If it has had less than 10 minutes, it’s too hot and you should raise the pan and flip the loaf over. Check the beer bottle label for any hints to its flavour and pimp your bread with those things. So a beer with a zesty finish and a mellow honey flavour and fruity aroma could inspire you to add some lemon zest, diced apple, raisins and a spoon of honey. Some of these will make the dough much wetter so compensate by adding less beer. Try foraging for these seasonal edibles and then add them to your bake: wild garlic, elderberries, blackberries, cobnuts, fennel seeds, samphire, sea purslane. ​I love mussels. They’re the most carbon-positive form of protein. I’ve tried them every which way, and for me, hands down, this is the best. Seafood doesn’t get simpler than this. Once your campfire has burnt down to its embers, push a handful of mussels, one at a time, hinge side down, halfway into the embers. Within a minute or two the mussels will open and steam cook themselves with the sea brine within, and their own delicious juices. Deftly whip them out using your tongs, add a squeeze of lemon and eat them directly from the fire. Just accompany with chilled white wine. Bon appetit! - Long metal tongs will help prevent you from getting burnt. It is harder though to get them in and out of the embers without losing precious juices. - If a mussel stays open after you’ve given it a knock (before baking), then it was already dead and too risky to eat. Throw these ones back into the sea. - If you bake the mussels for too long they become chewy and hard. Not long enough, and they’ll be slimy and cold. With a bit of practice you’ll get it just right. For more inspiration and amazing recipes, you can buy the book for just £8.99 by visiting thedobook.co. It would make a great gift!